Thinking of Joining Air Cadets? At this time we are not accepting new members. We will be accepting new applications in Sept 2018, keep an eye on our website or Facebook page for our Open House date. The Air Cadet program in British Columbia is as active, exciting and challenging as ever! Currently, over 3600 youth in the province of British Columbia are involved with Air Cadets in 52 Squadrons. To join Air Cadets, you must be between 12 to 18 years of age. The success of the program is the result of a strong partnership between the Canadian Forces (CF) and the Air Cadet League of Canada. Support from Cadet Instructors Cadre officers, representing the CF and many community-minded sponsoring committees, representing the Air Cadet League, ensure the resources required are available to deliver the best program possible. Air Cadets in BC meet once a week to participate in the Local Headquarters (LHQ) training program, which includes a variety of activities, such as: flying and gliding, marksmanship, effective speaking, leadership, physical fitness, citizenship and survival training. Air Cadets also have the opportunity to attain their private pilots license during summer training! Many Air Cadet Squadrons in BC also offer a number of optional training activities, such as, music training, drill team, Duke of Edinburgh’s Award Program, Air Cadet Fitness Testing, marksmanship teams, biathlon, first aid training and much more. Cadets are encouraged to become active, responsible members of their communities. They learn valuable life and work skills like teamwork, leadership, and citizenship. Cadets also reap the personal benefits of increased self-confidence and physical fitness, learning how to take initiative, and how to make decisions. Cadets make valuable contributions to Canadian society on a daily basis in terms of environmental, citizenship and community activities. Cadets are not part of the Canadian Forces, nor is there any expectation for them to join the military. Local training - Cadets participate in training on a weekly basis during the regular school year (Sept - June) on an average of one night a week, plus optional weekend training depending on their interests. 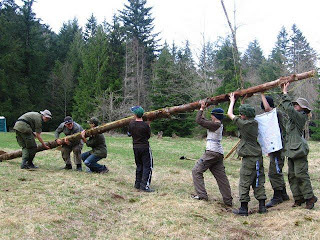 Summer training - There are a total of 24 cadet training centres (CTC) located across Canada. Approximately 21 000 course cadets receive training and 2500 staff cadets are employed each summer in the 24 CTCs and abroad on cultural and training exchanges. 746 Lightning Hawk Squadron recruits new members beginning in September each training year. Membership is open to all boys and girls within the age group of 12 to 18. A cadet must be a Canadian citizen, permanent resident or landed immigrant to Canada. A birth certificate must be produced for age verification as well as a Provincial Health Card. We will be accepting new applications in Sept 2016, keep an eye on our website of Facebook page for our Open House date. New members will be sized for uniforms right away, and then issued a complete uniform (valued at $500.00) within four weeks. See our contact section on the main page for location and contact information. 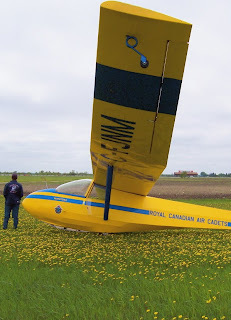 -Cadets with physical or medical limitations may join Air Cadets, but may be excluded from certain activities and functions including summer training. The safety and well being of the Cadet is the major consideration. -Parents should consider that if a cadet is not capable of attending weekend training exercises and/or summer training, the cadet might not be eligible for promotion or flying scholarships. This does not mean that the cadet cannot have a rewarding career despite these limitations. Please consult the promotion policy for more detailed information. -New cadets must provide the Squadron with their B.C. Medical Number (the Personal Health Number on your Care Card) and a photocopy of their birth certificate. (There is a photocopier available in the office, the original must be shown at the time of registration.) An application form and a medical form must be completed and signed by parents/legal guardians. There is a $200 per year fee required per cadet at the beginning of each training year. 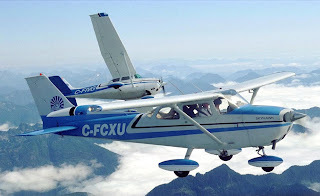 This fee helps to covers rent and local insurance as well as the $100 assesment per cadet by the Air Cadet League of British Columbia which covers liability insurance and costs for the maintenance and upkeep of the Air Cadet Tow Plane and Glider Fleet. The sponsoring committee of 746 Lightning Hawk Squadron will issue a receipt for $100 for income tax purposes which covers the the squadron portion of the fee. If you have any questions regarding these requirements, please contact 746 Lighting Hawk Squadron.